“Racism in the UK is so much more obvious than it is in the USA.” This was my Californian friend’s answer when asked her about her opinion on her visit to the UK. Of course the Londoner in me profusely denied this. Being a British born Indian woman, I pride on my heritage, which entwined my South Asian roots into my Western upbringing. The unfortunate truth is, however, is that my friend had just landed in the midst of the post-Brexit drama. The existence of racism had suddenly been leveraged with Brexit being used as the scapegoat to alienate people of colour. As a recent panelist on a BBC Radio London show, I participated in the discussion of the impact of Brexit on South Asian communities. I listened coherently to the some of the inexcusable racial attacks reported in the last month and could only empathize with the reign of fear that had been invoked. Whilst I agree on the importance of community unison, I do wonder if this is just a unity of convenience whilst we continue to overlook the self-invoked inter-racial conflicts. “My mum is Gujarati and my Dad is Sikh,” has generally been my default answer when questioned on what part of India my roots lay. 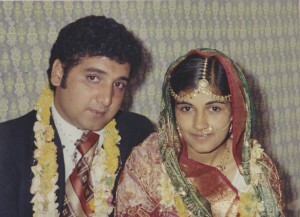 Inter-racial marriages are rapidly on the rise today within South Asian communities across the globe, yet my parents’ alliance is one that is often a subject of interest. Right from Punjab across to Gujarat, both sets of my grandparents adhered to their own marriages into a caste deemed appropriate. Since their parents had arranged these marriages for them, it was only natural to assume the next generation would follow suit. With the concept of choosing your own suitor already taboo in my grandparents’ era, marrying into a different religion was equally if not completely frowned upon. Having been accustomed to living away from home at a young age, fortunately my parents’ self-found independence was the assurance that this relationship could break the myths of the shame of marrying out of caste. 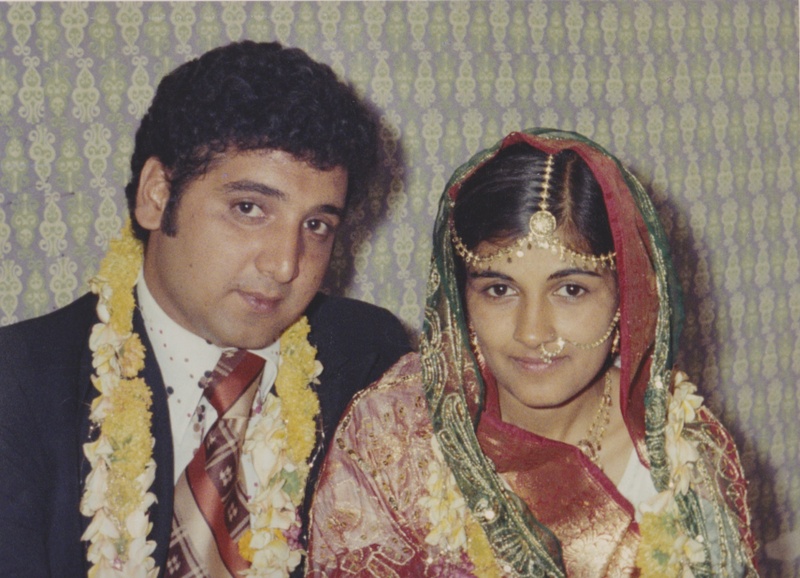 In 1976 they decided to continue their married life away from India here in London. Growing up in Kingston, my sisters and I were draped in the rich colours of our Hindu culture. This upbringing was further amplified by the arrival of my mother’s family into London, where the presence of grandparents secured our knowledge of the mother tongue, Gujarati. Even though my dad’s family remained in India, my sisters and I were never absent from visits back to meet my cousins who embraced us just as equally into their lives. The best of both worlds is a term that was, and still is appropriately applicable to my sisters and I. Regardless of the stronger influence from my mother’s family due to the proximity; both sides of the families could converse in a common language to each other (Hindi), ate the same food and instilled similar morals into their children. With the exception of the chosen place of worship i.e. Gurudwara or Mandir and the lack of fluency in the Punjabi language, our parents’ efforts to ensure we never felt isolated from either side of the coin were infinite. It was the raised eyebrows and disapproving sentiments from surrounding community members and even family, nevertheless, that was beyond our control. It was no secret that not every family member accepted an inter-racial marriage. As I grew older it was a sentiment I was taught to respect rather than rebel. Diverse as Kingston and its surrounding boroughs were in its spectrum of cultures, signs of disapproval of our mixed heritage still existed. My first vivid memory was when my sisters and I were declined a place in one of the local Gujarati schools to learn to read and write the language. Whilst my first name is a Gujarati one, my Sikh family name was the sole reason for my ineligibility. It didn’t matter that my sisters and I had been raised by my maternal grandmother and that our spoken literacy in the language was probably more fluent than many of my fellow Gujarati school friends. We simply didn’t fit the criteria to join, and this was one of my earliest memories of being perceived as half and half! Today, similar local cultural schools across UK are changing such strict entrance rules. 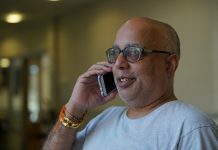 But regrettably, many community institutions in both the Gujarati and Sikh cultures still deny weddings, not just to those Indians who are marrying a non-Gujarati or a non-Sikh person respectively, but even to individuals of a similar mixed background, something that was experienced very close to home. Traditional beliefs on inter-racial relationships within community groups can be hard to challenge, and often the next generation is looked upon as the voice to change these views. But my assumptions soon changed during my university years where a large proportion of my class was made up of Sikh and Gujarati students. Despite the university’s efforts to encourage the growth of multi ethnic social groups as an extra-curricular activity, my personal experience of such associations was isolation and a sense of not being sure where I belonged. Without wanting to generalise ALL cultural social clubs at the institution, some of the Hindu and Sikh groups focused on an inward “us-against-the-world approach” as opposed to a celebration and sharing the knowledge of their roots beyond those of Sikh or Hindu origin which only reflected segregation as opposed to integration. When it came to relationships, I assumed that Indian men of my generation would overlook the caste criteria, especially as I had been raised into a home where both parents had mutual respect for each other’s spiritual views. In my mid-twenties, I was forced to question how much of a Sikh woman I actually believed I was, when questioned by a Punjabi beau as to what my caste was; my answer was, I didn’t know. Up until now, I didn’t even think it mattered, but clearly to this young man, unless I was a Jat Sikh, his family would not accept our alliance. Discovering that I was a Ramgarhia Sikh sealed that fate imminently. I spent the best of four years at university amongst Sikh friends of different castes who all seemed to have similar upbringings as far my understanding stretched within a Punjabi household. Yet I still seemed to have missed this golden rule of caste status. But it didn’t end there, just being the right Punjabi caste was also not sufficient for another Ramgarhia male friend; my Gujarati upbringing was instantly vetoed; I just wasn’t 100 % Sikh..! 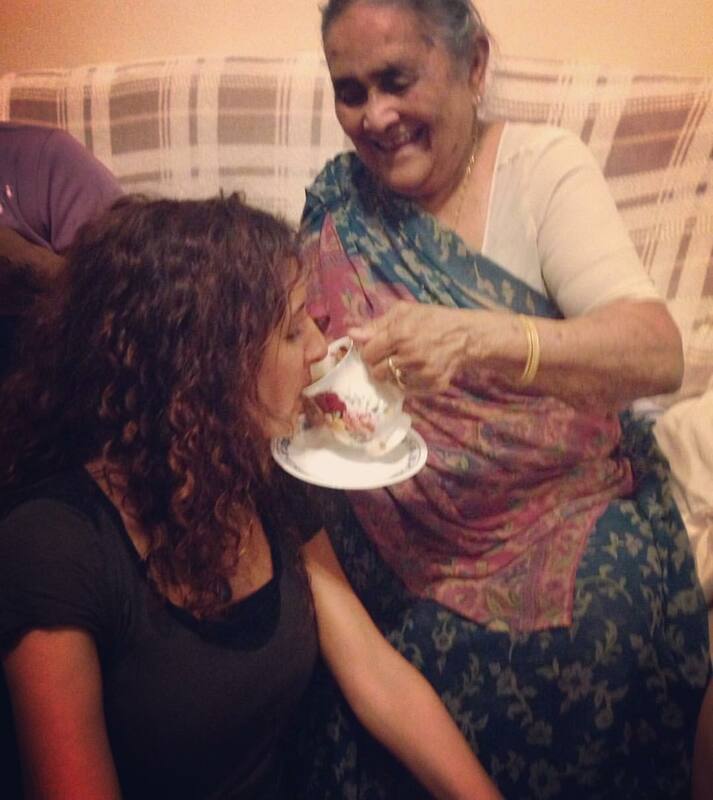 And vice versa, I was kindly shielded by my family from comments at weddings on how I wasn’t a “proper” Gujarati. “What does that even mean?” I would ask my parents. How would my caste or mixed upbringing (both of Indian origin) determine how my future relationships would shape if I had been raised in an environment where I was never typecast. What is that I do or don’t do daily that would make me any less Gujarati or Sikh? Is my namesake my only identity and true definition of who I am or what my cultural beliefs are? The origins of the caste system came into place depending on a family’s line of work – carpenters, tailors, shoemakers, ironmonger etc. Traditionally caste classification was an essential criteria for arranged marriages. Yet, after almost 70 years of India gaining its’ independence, to witness the ongoing dismissal of certain castes as inferior within both Gujaratis and Punjabis is nothing short of arrogant. We take pride in our ancestors who came to this country without a single penny and did the jobs no-one else wanted to, yet continue to contradict ourselves by judging a “tailor” marrying an “ironmonger”. So what is the measure of what makes me more Gujarati or Sikh; the language, the food I eat, who I worship more, or how often I visit which particular place of worship? 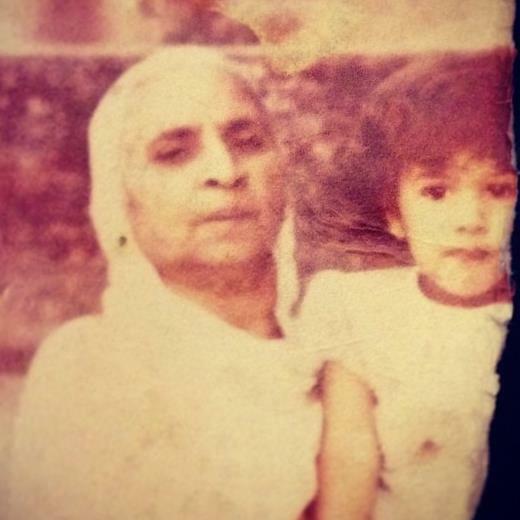 My paternal grandmother, who only spoke Punjabi, worshipped Lord Ram (Hindu God) and also respected the Sikh Guru Nanak; did that lessen her Sikh stature? As I sit in the Gurudwara, listening to the Kirtan (songs of praise) organised as part of my cousin’s wedding, I flick through the pages of a booklet handed out by a volunteer titled The Sikh Woman. 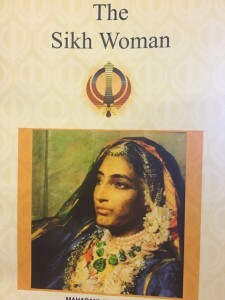 Sikhs may not worship idols, but the stories in this book of women such as Bebe Nani, Mata Sahib Kaur and Sardani Sada Kaur who were prominent figures in Sikhism, hold parallels to the mythological female characters such as Draupadi and Durga Maa, who are viewed as an embodiment of strength, worshipped by Hindus. So as we fight for equality and respect in a country we call home, let’s take a step back to look inwards. Let’s remove this urge to label human beings as if they are disposable goods. In wanting to retain our cultural roots in a Western environment, to what extent are we throttling each other’s necks? Is it in the name of caste and status and thus creating segregation? As for me, I am not half anything, I am me.